….. at have lyst til at købe noget selvom du på ingen måde mangler det. Men bare fordi det er så fint??? Do you know the thing of wanting to buy something even though you don’t need it at all. But just because it’s so pretty??? 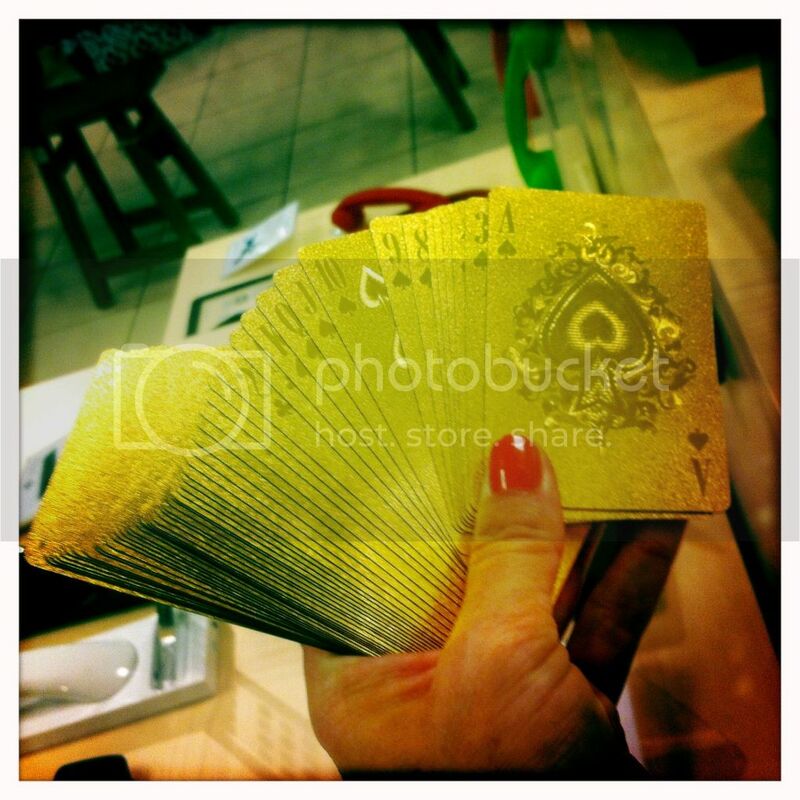 That’s what I did with these fine gold cards I stumbled across when I was shopping for a wedding gift for some friends. I resisted the temptation this time, however, and left them. But they just entered my wish list. It’s no secret that I am crazy about By Nord. But I also think that the prices are a bit high. But check this out – now you can get the style at Etsy from EUR 30. Generelt vil jeg anbefale at holde øje med gode tilbud og loppermarkeder, for der styrer hun for vildt! Jeg bliver altid grøn af misundelse når hun viser sit seneste scoop, som hun selvfølgelig har fået til den helt perfekte pris. Men så kan det selvfølgelig godt tage lidt tid at få samlet alt det man gerne vil… men til gengæld er det ventetiden værd! Overall I’ll recommend to keep an eye on bargains and flea markets, because this is a skill she really rocks! I always get green with envy when she shows her latest scoop, which she ofcause has bought for the perfect price. But it can obviously take some time to gather everything you want … but I think it’s worth the wait!